The Dodgers and Marlins had a close game on Saturday, but the Marlins were able to pull out a one run victory. 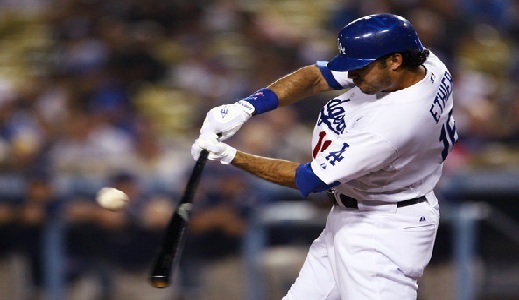 Sunday provides an opportunity for the Dodgers to seek some revenge and come back with a win. The Dodgers starting pitching is a bit of an unkown on Sunday, with Charlie Haeger making the start. Haeger can prove tough for the Marlins, if only because most players have little to no experience facing him. The Marlins are starting Anibal Sanchez. Sanchez, at the surface, appears to be the better pitcher. Sanchez has certainly proven more in his MLB career, but Haeger is a wild card, and there is a legitimate chance that he will fare better than Sanchez on Sunday. The Dodgers definitely have the better offensive squad. With Andre Eithier, Manny Ramirez, James Loney, and Russell Martin in one line up, you know that any team will be fighting for their life on defense. The Marlins have a few weapons of their own, however, with Hanley Ramirez and Dan Uggla holding the keys to Florida’s success. Nonetheless, the Dodgers have a very bid edge over the Marlins offensive firepower, there is no doubt about it. Both line ups are prone to explosive games, but the Dodgers have never ending weapons. The Dodgers are a very good pick on the moneyline at +105. To say that the Dodgers are a dog in this game is just ridiculous. This bet should be taken every day of the week. If the Dodgers do end up losing, it will likely be due to their starting pitching, but Haeger should be able to hold his own.